Russian Electronic Weaponry hardware Krasukha-2, ‘Rychag,Infauna: Photo Neviskii Basion invetory . Two Russian Sukhoi Su-24 attack aircraft fly over the US Donald Cook and temporary make it useless. There’s been a slow accumulation of hysteria about this in the West since Russia’s invasion of Crimea and eastern Ukraine. Naturally, the Russians are war innovators. How unique are Russian military Electromagnetic Weaponry systems? It all began with the flight of an Su-24 frontal bomber flew over the American destroyer ‘US Donald Cook’ of which incident widely published in practically by Russian news and other world media, during which the Russian aircraft supposedly employed its newest electronic kit "Khibiny" system, that caused panic among the crew onboard when temporary disable the entire ship’s electronic equipment include the fire system of the gunners almost leading Washington the behavior of Russian pilots . Believe it or not Russian military is the most effective forces in the world that yes show its superiority over enemy and demonstrated its unquestionable power of war-fighting that render maximum annihilation on enemy in just a brief moment. Its lethal machines of war proven in couple of battlefield countered like the 5 days conflict in South Ossetia part of Georgia, Ukraine and Syria where now then destruction of ISIS caliphate in Syria where the terrorists that baited US special forces for some years is completely defeated in just a short period.There was concern among the west when Russia first announced to entering in Syria to fight ISS some military experts commending that the operation in Syria will drainage Russian budgets and will not bring any impact. Russian electromagnetic weapon system tested at different events, and in different forms. 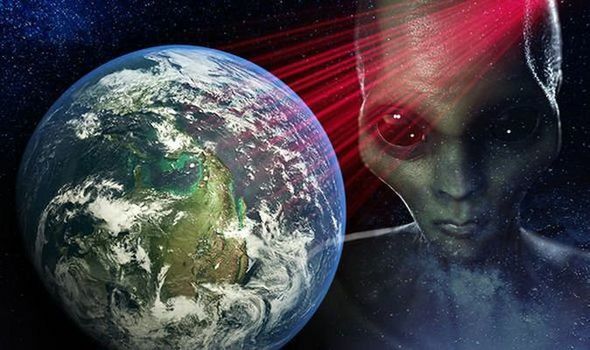 Electromagnetic Warfare have charted the war in southeast Ukraine over the past year, drones flown by the Organization for Security and Co-operation in Europe have run into the same problem: Russian troops on the ground are jamming them into virtual blindness. It’s just one part of a sophisticated Russian electronic warfare (EW) effort in Ukraine that has proved a sobering experience for the U.S. Army. 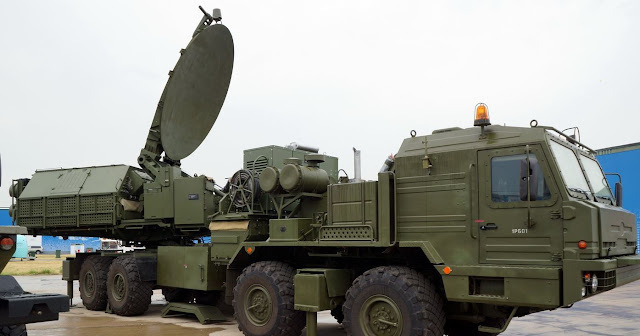 Faced with how the newly modernized Russian army is operating in Ukraine and Syria using sophisticate technology like the Krasukha-4, which jams radar, jam drones and block battlefield communications and aircraft. American military officials are being forced to admit they’re scrambling to catch up to are using high-tech equipment to jam drones and block battlefield communications. Russian Fighter Jet Disables US Donald Cook Destroyer Using Electronic Warfare Weapon. Lt. Gen. Ben Hodges, commander of U.S. Army units in Europe, has described Russian EW capabilities in Ukraine as “eye-watering.” Ronald Pontius, deputy to Army Cyber Command’s chief, Lt. Gen. Edward Cardon, told a conference this month that “you can’t but come to the conclusion that we’re not making progress at the pace the threat demands.” The electronic war was on display from the start of the Russian incursion into Crimea in the spring of 2014. Not long after Russian EW equipment began rolling into the region, Ukrainian troops began to find that their radios and phones were unusable for hours at a time. Meanwhile, the Organization for Security and Co-operation in Europe, an international conflict-monitoring group, has consistently reported that its drones watching the conflict in eastern Ukraine have been “subject to military-grade GPS jamming,” forcing monitors to scrub missions taking stock of the war below. At the forefront of the push to get the U.S. Army up to speed is Col. Jeffrey Church, the Army’s chief of electronic warfare. But it won’t be easy. Dealing with falling budgets, a lack of EW equipment, and a force that is shrinking by tens of thousands of troops, Church says that he has managed to train only a few hundred soldiers a fraction of the EW forces that are fielded by potential adversaries like Russia and China. “They have companies, they have battalions, they have brigades that are dedicated to the electronic warfare mission,” Church said in an interview with Foreign Policy. Those units are deploying “with specific electronic warfare equipment, with specific electronic warfare chains of command,” he said. Currently, 813 soldiers make up the Army’s EW mission, for which just over 1,000 positions have been authorized. And other Army units are guarding against Church’s attempts to peel away soldiers from their ranks to join his. The staffing squeeze is only expected to get worse as the overall Army contracts: At its peak during the wars in Iraq and Afghanistan, the Army had about 570,000 soldiers; it is on pace to be down to 450,000 by the end of 2017. That number could slide even further, to 420,000 over the next several years, if Washington deadlocks over a long-term budget deal in the coming months. At the moment, U.S. Army battalions typically assign two soldiers to the EW mission, and they will “have to do 24-hour operations” in battle against sophisticated enemies, Church said. That includes planning and coordinating with other battalion units as well as ensuring that their own jammers and advanced communications tools are working. “There’s too much to do for those guys in a battalion,” Church said. “So how do you maintain in a high-intensity environment against a peer enemy?” A good amount of the EW equipment the Army bought over the past decade was paid for with supplemental wartime funding accounts. Church said that means it largely sits on shelves, awaiting repair and refurbishments, without regularly budgeted funding to keep it up to date. In looking at Moscow’s capabilities, the U.S. Army’s Foreign Military Studies Office assessment-2017 this year acknowledged that Russia “does indeed possess a growing EW capability, and the political and military leadership understand the importance” of such warfare. “Their growing ability of blinding or disrupting digital communications might help level the playing field when fighting against a superior conventional foe,” the assessment concluded. One of the leading developers and producers of Russian electronic warfare systems Kontsern Radioelectronic Technologies (KRET) is currently conducting an aggressive PR campaign supporting its products. It’s sufficient to recall that in the media more and more often we hear headlines: ‘KRET has presented a unique jammer for long-range radar surveillance aircraft,’ ‘Jamming system reliably defends troops from enemy artillery fire’ and the like.